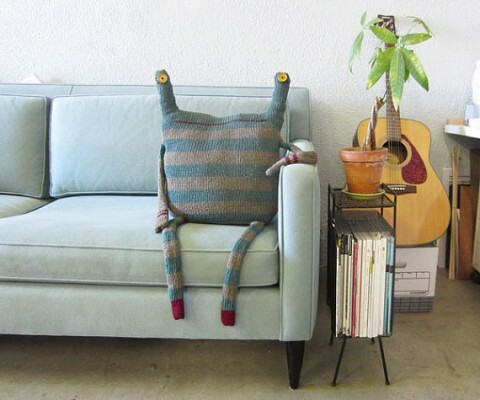 I have just fallen in love with Beast Pillow no.164. I dare you not to smile while looking at this little fellow. My daughter will love it, thanks for the tip! It looks like a transitional object my nephew once had. He was 3 yrs old and dragged it everywear …even to the beach. so it was quite beaten up. And people would always comment “wow…whats is that THING he has in his hands”. Ooh I want it. He’s beautiful. of right kind of visitors to their squeeze pages by means of its efficient blogging techniques. level, because though one often forgets about it, you need it to make sure all your other efforts are straight.